Happy 1st day of Fall Y’all! This is the season for pumpkin everything, so why not make some homemade pumpkin spice butter to spread on bagels, biscuits, bread and anything else you’d use butter on? Combine butter, pumpkin, sugar, cinnamon, cloves, ginger, nutmeg and salt. Mix well. Keep tightly covered in the refrigerator up to 3 weeks. 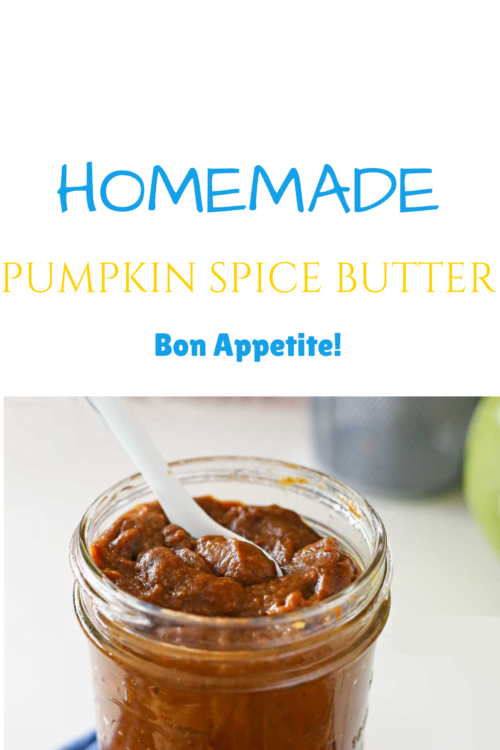 NOTE: You can substitute 1/2 teaspoon pumpkin pie spice for cloves, ginger and nutmeg.